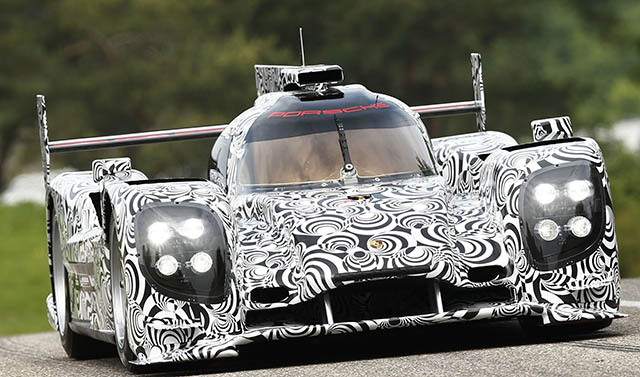 Just days after Audi and Toyota did there trail runs at the 2013 LM 24hrs Testday, Timo Bernhard gave Porsche's 2014 LMP1 contender a first shake down on the Weissach test track. Its been a long long time since Porsche's competed for top honours at Le Mans. Had they not left the LMP1 scene in 1999 Audi's stunning track winning streak might have had some more gaps apart from the few Bentley/Pug victories. Following this month�s previous announcement from Renault that it will be entering the 24 Hours of Le Mans this year, as well as the European Le Mans Series, the French automaker has now revealed the LMP2 prototype that it hopes to be victorious with. Renault is using its Le Mans participation to help build excitement for the revival of its Alpine nameplate, which will be used on a new sports car being developed in collaboration with British sports car manufacturer and Formula One team Caterham. Before the arrival of the new sports car, currently planned for 2016, Renault will use the Alpine name in motorsport, initially on its new LMP2 prototype. In 1981 Porsche started work on a prototype racer to suit the new Group C regulations. It was the first all new racer Porsche constructed in over a decade and was quite a departure from the 936, which shared many components with Porsche's prototypes of the late 1960s. The wraps came off the CR Scuderia racing cars at Autosport International today, revealing a striking red, white and blue livery that carries across the team’s entries in the FIA GT, British GT and Formula Renault UK Championships. ITV’s Ted Kravitz was on hand to introduce CRS Team Principal, Chris Niarchos, who revealed that the team had secured an exciting multi-year sponsorship deal with BSkyB (Sky). This sponsorship will support the Sky brand across its TV, broadband and home telephony services.  CR Scuderia is also delighted to have secured commercial partnerships with companies including Grand Prix Racewear (GPR), Alpinestars, Giorgio, Fast Wax, Creative Print Group, Performance Friction, PPG and Autosmart. CR Scuderia will run two Ferrari 430s in the GT2 class of the FIA GT Championship in 2008; one car for Andrew Kirkaldy and Rob Bell and one for Chris Niarchos and Tim Mullen. The FIA GT Championship is an ambitious target for a team in its first year of competition but CRS has four drivers who are all proven winners at that level of racing. The team will also run a domestic programme in the British GT Championship, which is familiar territory for CR Scuderia. Niarchos, Kirkaldy and Mullen have all been British GT Champions in recent years and most of the CRS team members have worked as part of a winning team in that category. In 2008 the competition will be tough, especially between the Ferrari runners, so CRS plans to field a team of exceptional drivers in British GT. That team of drivers will be announced in due course. Just 40 inches tall, but a giant in Motorsport history, for most "American" motorheads the Ford GT40 is remembered as the “Car that beat the Europeans” at Le Mans. 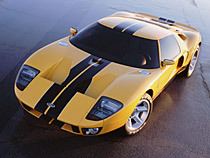 To celebrate that great era in their history Ford unvieled the stunning GT40 concept car for its 2002 centennial celebrations, and announced the production version just 45 days later. In 2007 Peugeot will be returning to the world’s automotive racing circuits at the highest level, after retiring from the WRC at the end of 2005. Announced on 14th June 2005 Peugeot’s Le Mans programme only really started once the last WRC test trial finished, in November 2005. Since then the Peugeot Sport team has been reorganised to produce a mock-up of the V12 HDi FAP engine in June 2006, followed by a mock-up of the 908 at the Paris Motor Show last September, on Jan 10 it finally unveiled the 908, ready to start is first development tests in anger. A recent survey showed that gift certificates account for 35% of the X-mass presents, so there's a 33% change that you got stuck with one over the Christmas hollidays. So what to do with them?....well how about this! With the arrival of the Maserati MC 12 the goal posts in GT racing shifted once again. So far the MC 12 has been a controversial car to say the least, but one that the "powers that be" at the FIA were determined to see racing. 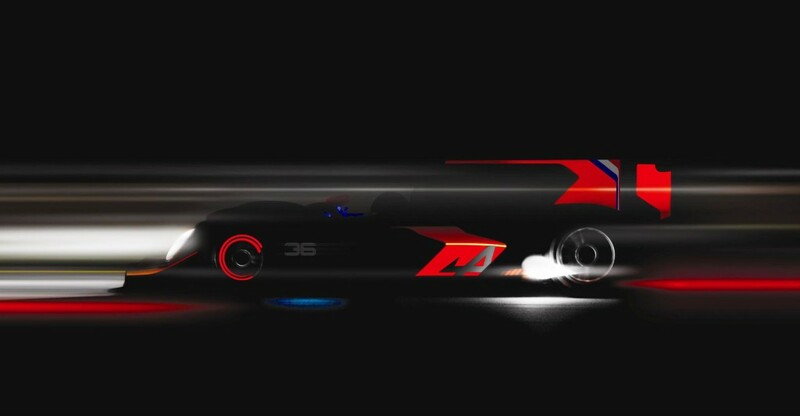 From the onset its was clear that the MC 12 would on the edge of breaching the "spirit of the rules".